Balloon time is aimed at Year 3 Science. 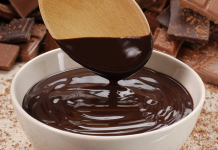 It looks at the effect of heat. Students learn that heat does play an impact on objects in our world and try to pop 2 balloons using tea light candles. 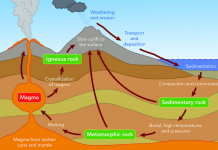 This experiment can be used in other year levels, however it does not specifically fit in with the curriculum for other year levels. 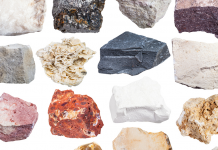 A great little, hands-on activity that allows students to develop their inquiring minds. Students to tell the teacher what they know about balloons. When do people use them? What are they made out of? Is a balloon a solid, liquid or a gas? What colours are they? What is inside a balloon? Discuss responses as a class. Students can share the most interesting fact they recorded. Hand each student a tea light candle. They will carefully observe their candle and discuss some interesting facts with their partner. What can you tell me about the candle? When do people use them? What does a candle give off? (Light and heat). What are some safety rules we should have when dealing with candles? 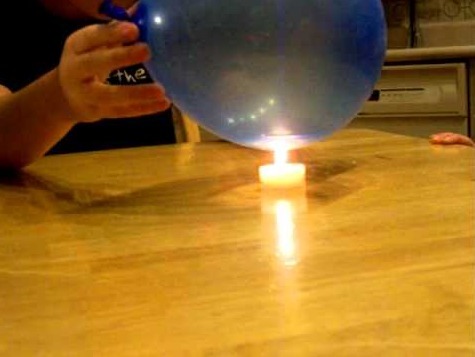 For the first part of the experiment, explain to students that you will place an ordinary inflated balloon over a burning candle. What do you think will happen? Discuss. Use the Balloon poster signs and have them placed in corners of the classroom. The signs read: The balloon will pop, not sure and the balloon won’t pop. Have students stand next to the sign that they think is true. Students will explain why they chose to stand where they did. Provide students with an explicit example of how to make a prediction. They will then write their prediction in the first part on their worksheet (See RESOURCES). 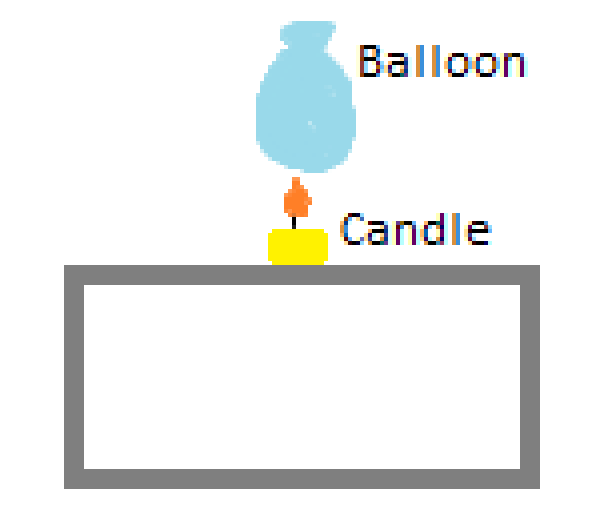 Hold the inflated balloon over the candle (see diagram below). The balloon should pop if done correctly. Have students explain what they think happened and why? What caused the balloon to pop? Did heat play a part in causing the balloon to pop? In the box under their prediction, students will draw what happened. The second part of the experiment involves filling the balloon with water. The balloon will then be placed over the candle in the same way as before. What do you think will happen? Students will again stand in corners of the room and will justify why they are standing in that position. Have students raise their hand if their position has changed from last time. Why did you choose to move? Students to fill in their second prediction. 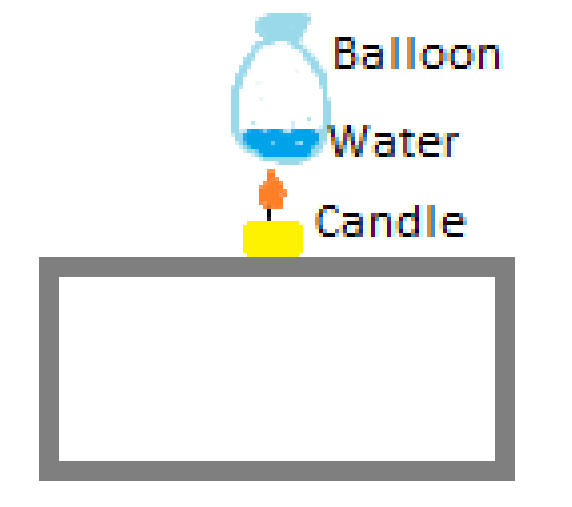 Hold the inflated balloon over the candle (see diagram below). The balloon will not pop with the water in it. Place enough water to cover the bottom of the balloon but not too much to make the balloon extremely heavy. Why do you think the balloon didn’t pop? Observe the black substance at the bottom of the balloon, what is it? Why does the water stop the balloon from popping? Will the balloon ever pop? Have students share their predictions and evidence of what happened. Ask them to create a theory as to why the balloon did not pop in the 2nd experiment. Anecdotal assessment of student participation. This is awesome-thank you so much for sharing!